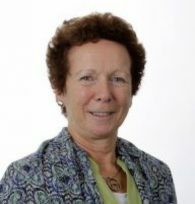 Retired as Taoiseach in 2008 having enjoyed the distinction of being the first person in over 60 years to have been elected to that office on three successive occasions – 1997, 2002 and 2007. 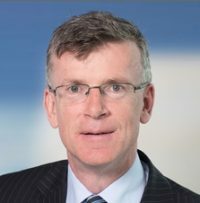 He served as Fianna Fáil TD for almost 35 years, first elected in 1977 for the constituency of Dublin-Finglas and then Dublin Central from 1981 – 2011. 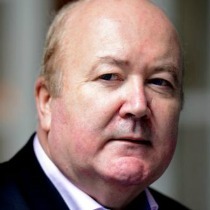 He was Minister for Labour from 1987 to 1991 and Minister for Finance on three separate occasions from 1991 to 1994. In 1997, Fianna Fáil was elected to government in coalition with the Progressive Democrats. This minority administration was supported by a small number of Independent TDs. Bertie Ahern received widespread praise for his political skills in ensuring that this administration served its full five-year term and delivered on real political and economic progress. 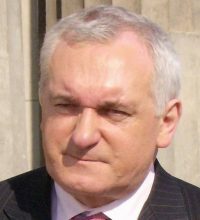 The successful negotiation of the Good Friday Agreement in 1998 was a defining moment in Irish history and Bertie Ahern’s involvement in very difficult and complex talks is considered to be one of his most significant achievements.